Anahata is associated with the ability to make decisions outside of the realm of karma. The fourth chakra, Anahata, the most important chakra of the body, is in the form of a hexagram of a grey-green colour surrounded by 12 vermilion petals with a golden bijakshara (bija indicates “the source or origin” and akshara means “imperishable or unalterable”). 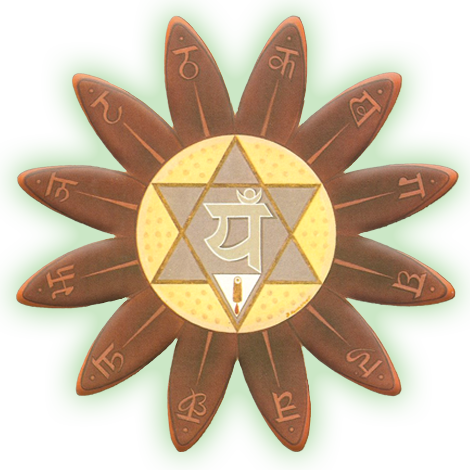 The Sanskrit word Anahata means “wheel of the unstruck sound”. The Anahata chakra is physically positioned at the heart region. Green is the colour for Anahata harmony. It is associated with the element or of Air, and is said to be the seat of the Divine Soul or Higher Self.